Does Spravato require patients to be prescribed an antidepressant? Descripción de Does Spravato require patients to be prescribed an antidepressant? As the P.R. machine kicks into gear to support the launch of Spravato/Esketamine, the first FDA approved Ketamine-derived treatment, Kevin Nicholson (President, CEO of Ketamine Wellness Centers) digs into the details that tend to receive less attention. This episode is about Treatment Resistant Depression and the requirements of Spravato, as such. We touch on: - The clinical definition of Treatment Resistant Depression - What to do about co-occurring conditions such as anxiety, suicidal ideation, ocd, etc? - Does Spravato require patients to be prescribed to an antidepressant to qualify for using it? 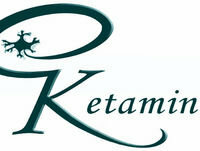 - Is Spravato utilizing the full potential of Ketamine to treat Depression? A Closer Look at Spravato (Esketamine) - What will the drug cost and will insurance cover it? A Closer Look at Spravato (Esketamine): How will it be administered?